The refined construction of this lens has additional benefits, creating a beautifully balanced instrument for professionals that is nearly two full pounds (816 grams) lighter than its predecessor, tempting the user to shoot handheld when needed. Whether trackside or courtside, photographers will value Nikon’s Vibration Reduction (VR) technology with up to four stops of image stabilization, and the addition of the new VR Sport Mode. When shooting action, especially on a monopod, the VR Sport Mode recognizes a panning motion to provide accurate compensation for camera shake, resulting in super-sharp images, with motion blur where the photographer intended. For working in challenging environments, the lens features a protective front meniscus element with a fluorine coating, which resists dirt and moisture on the front of the lens. Other pro-minded features include the addition of a rotating tripod collar for seamless switching between compositions, and buttons on the lens barrel compatible with the new AF functions of the Nikon D4S. 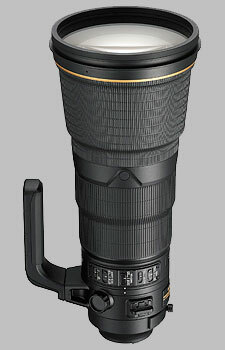 The AF-S NIKKOR 400mm f/2.8E FL ED VR lens will be available in August 2014, and will have a suggested retail price (SRP) of $11,999.95. The Nikon 400mm f/2.8E FL ED AF-S VR Nikkor doesn't have any user reviews yet!